Bin sehr zufrieden mit dem Mulcher . Lob an das Jansen Team.. 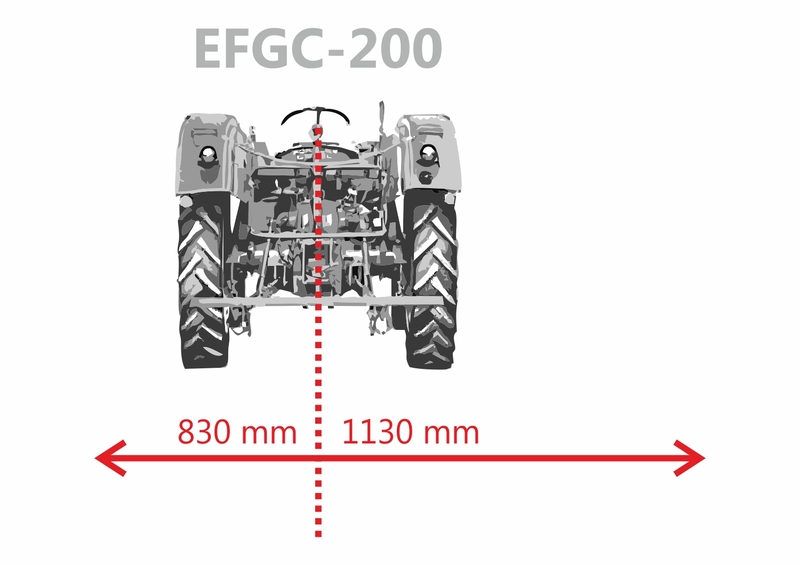 The especially robust construction of the mulch mower EFGC-200 makes it stand out. It has a special reinforced angular gearbox and is outstanding in its operation. The flail mower has a mowing width of 196 cm and is driven using a P.T.O, included as part of the delivery. From the middle of the suspension to the outer mowing edge on the right side, the distance measures 127 cm; with this measurement you can control whether the mower unit should cover the right track of your tractor. Due to the open rear bonnet maintenance work or changing hammer blades will be facilitated. Please be informed that the bonnet has to be closed while operating. The 26 specially hardened, 0.8 kg hammer blades, which are arranged on a double spiral drive shaft, shred clippings to a minimum size. Even very high grass, bushy or straw-like clippings are no problem for this mower! The mulcher additionally has a trailing roller and a freewheel gearbox. The cutting height can be set with the top controller and the runners mounted on the side. The suspended, galvanised slats at the front of the mower unit prevents stones escaping. The mower unit is hung using the three point linkage of your tractor (from Cat. I. upwards). Your tractor should have at least 50HP.